In just about every discussion of maintaining optimal health, you’ll hear people use the terms “free radical” and “oxidative stress.” These terms are used so much because they’re essential to understanding health from both cellular, as well as lifestyle perspectives. However, many people don’t fully understand what those terms mean. If you’re one of those people, don’t fret. You’re not alone. We’re going to try to explain it to you in a way that will make it very easy to understand whether a beginner to the world of integrative medicine or a fundamental follower. And once you understand exactly what free radicals and oxidative stress are, you’ll see why it’s so important to control them. Let’s start by going back to some basics from high school chemistry class. Remember atoms? 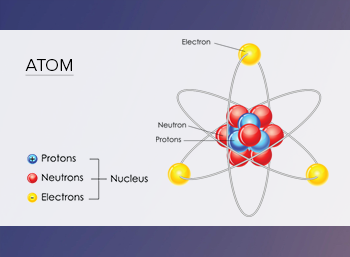 Those are the fundamental building blocks of all matter, and they’re made up of three types of particles: protons and neutrons, which form the nucleus, and electrons, which orbit around the nucleus. For our discussion, we’ll focus on electrons. Electrons are like serial monogamists: They always like to have partners, so they generally stick together in pairs. When an electron loses its partner, it frantically searches for a new one (like any good serial monogamist after a breakup). And in its search for a new mate, it sets off a chain reaction by stealing an electron from the nearest stable atom or molecule (a group of two or more atoms). Good news for bachelor number one, but bad news for bachelor number two, which now starts its own frantic search for a new electron. These atoms and molecules that are missing an electron are called free radicals. And as they maraud through the body causing breakup after breakup, they can do some serious damage. But when the creation of free radicals outpaces antioxidants’ ability to neutralize them, that’s where problems start. And that can happen for all sorts of reasons—such as smoking, exposure to environmental toxins, intense exercise, and even aging. This imbalance is called oxidative stress. Oxidative stress can damage every component of cells—proteins, enzymes, and even DNA. This damage can be measured through various tests. The human body produces oxygen free radicals and other reactive oxygen species as by products through numerous physiological and biochemical processes. Oxygen-related free radicals (superoxide and hydroxyl radicals) and reactive species (hydrogen peroxide, nitric oxide, peroxynitrile, and hypochlorous acid), are produced in the body, primarily as a result of aerobic metabolism.3,4 At the same time, compounds such as glutathione, arginine, citrulline, taurine, creatine, selenium, zinc, vitamin E, vitamin C, vitamin A, and polyphenols routinely found in the food supply help to regulate the reactive oxidative species generated. The concept of oxidative stress goes from simple and easily understood to complex and confusing very quickly. For the past 40 years or so, oxidative stress has been increasingly recognized in research topics in health and medicine. Oxidative stress has been largely been viewed as “superoxide-centric” as well as on the protection provided by certain enzymes, especially the superoxide dismutases, catalases, and glutathione peroxidases. Superoxides are powerful free radicals. The cytoplasm is where all important cellular metabolic processes happen. In normal circumstances, it is thus reliably protected from oxidative damage. Rather than remaining in the cytoplasm, oxidized glutathione gets locked up in the vacuole.6 More recently, discoveries have led us to understand that a person’s balance of oxidation may have its origins in our genes and the ways in which gene expression is regulated. We want to leave you with an important consideration. Oxidative stress and free radicals are perhaps not as simple (nor as complex) as they’ve been made out to be. The chemical concepts are rather straight forward but when you apply that concept to a complex system of human biology, some of the simplicity falls away. As science progresses, we learn about redundancies in the systems, so that if one particular pathway or route cannot take on the workload, additional systems are in place to support basic health unless that burden is too excessive or lasts too long. While the nitty gritty of oxidative stress may be overwhelming, what to do about it is rather simple. One of the best ways you can promote good health is to make sure you’re not accumulating more free radicals than your body can handle. Minimize your exposure to toxins, skip the processed foods, reduce stress, and eat lots of brightly colored vegetables or fruits. In short, make sure you have more chaperones at the dance than lonely bachelors, and you’ll be well on your way to protecting your health, all the way down to a cellular level. Holly Lucille is a licensed naturopathic doctor, educator, natural products consultant, and television and radio host. She believes in the science, art, and mystery of healing and has a heartfelt passion for the individual wellness of all people. Built on this foundational belief, she uses the magnificence of multiple media platforms to truly make a difference and empower people to heal. Dr Lucille’s private practice in Los Angeles, Healing from Within Healthcare, focuses on comprehensive naturopathic medicine and individualized care. 1. McCord JM. The evolution of free radicals and oxidative stress. Am J. Med. 2000;108:652. 3. Halliwell B. Free radicals, antioxidants, and human …: curiosity, cause, or consequence? Lancet.1994;344(8924):721–4. 4. Poulson HE, Prieme H, Loft S. Role of oxidative DNA damage in … initiation and promotion. Eur. J. Cancer Prev. 1998;7(1):9–16. 5. Gilgun-Sherki Y, Melamed E, Offen D. Oxidative stress induced-neurodegenerative …: the need for antioxidants that penetrate the blood brain barrier. Neuropharmacology. 2001;40:959–75. 7. Giudice A, Montella M. Activation of the Nrf2-ARE signaling pathway: a promising strategy in … prevention. Bioessays. 2006 Feb;28(2):169-81.